Create your very own Super Smash Bros. Ultimate roster and more with Roster Builder! Get the latest update for new characters and every stage icon from Ultimate now! 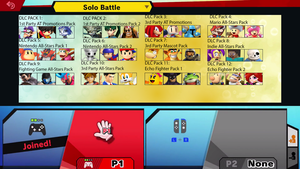 Made a DLC Packs Prediction Roster! do you perhaps take roster requests? Nice I can make some stage selects now! Are you familiar with Rallen from Spectrobes? Its best chance of a comeback would be if Rallen became a guest fighter in Nintendo's Super Smash Bros.
Who even calls Smash: "Nintendo's Super Smash Bros."? Do not make me sound like an idiot. 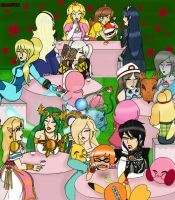 Any roster with Waluigi makes me die happy. Boom-Boom and Pom-Pom, that's a new one. Nice roster then again any roster instantly wins if Dixie is part of the group for me.